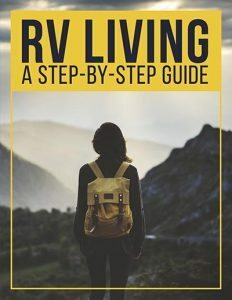 Before you and your family hope in your Class C Motorhome and go on vacation, chances are you go over a check list and make sure everything is in working order. One of the most important things on this list is the tires. It stands to reason that a Class C Motorhome requires Class C RV tires. Regardless of the brand or style you choose, it’s important to regularly inspect your tires. After all, those tires are exposed to elements such as water, air, mud. No matter if you are cruising on a back country road or you are headed from city to city make sure you get your RV and tires inspected regularly to promote safety. Naturally, the more traveling you do, the more wear and tear on your your tires. 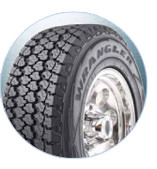 When you buy Class C RV tires you are buying smart and with added protection. A special wax protects against rot, as well as protects from harmful UV rays. As early as 1910, engineers understood the need to protect tires from the harm of UV light. Keep in mind that periodically your RV tires will require a reapplication of the carbon black barrier to keep them protected. Keep your tires clean. As with anything in life, the better you take care of it the longer it will last. Removal of dirt and debris will keep your tires in good working order. Flex your tires. By using your tires you are allowing the wax to form slowly and continue to protect your tires. So not only are you protecting them with that waxy seal, but you are preventing the drying and cracking that some tires experience when not properly used or left to sit. Apply a black carbon to your tires. Now that you have cleaned your tires sufficiently you want to apply something such as 303 aerospace protectant. So far this is the only known product that will counteract those harmful UV rays that can destroy your tires. You want to avoid anything that contains alcohol, petroleum, or silicone. These chemicals, or combination of chemicals, can damage your tires. Be aware of the signs of wear and tear on your class C motorhome tires. You want to complete a three-step inspection to make sure they are up to par. Feel the tread by hand to check for different patterns and wear in the tires, examine the tires, and check the tire tread depth with a digital gauge. Other things to keep in mind are timely tire rotations, leveling, and buying new tires when necessary. All these will keep your motorhome safe and on the road. 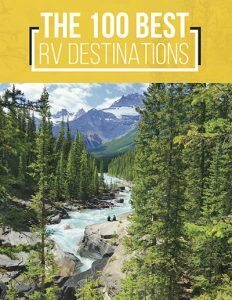 By following proper tire maintenance on your class C RV tires you are not only ensuring happy travel, but less worry and money spent on tires.